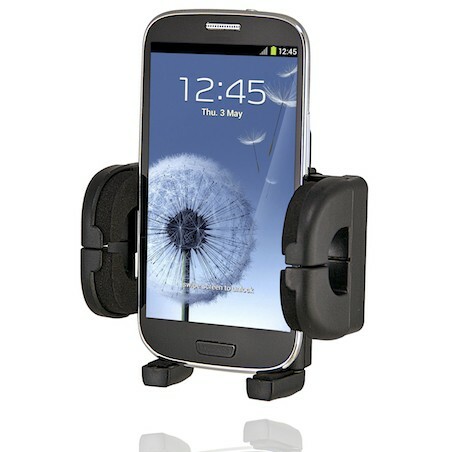 Click the button below to add the Bracketron Universal Mobile Holder With Vent Mount to your quick list. 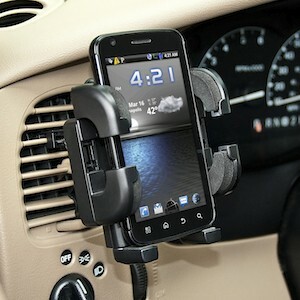 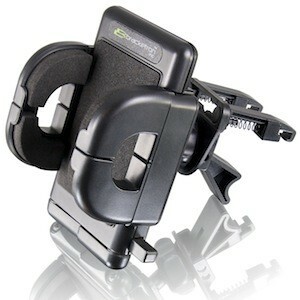 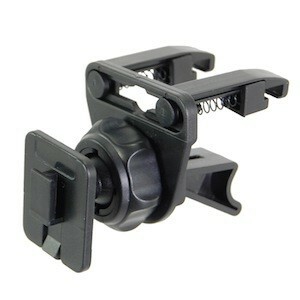 The Mobile Grip-iT Universal Holder is designed for portable mobile electronics. 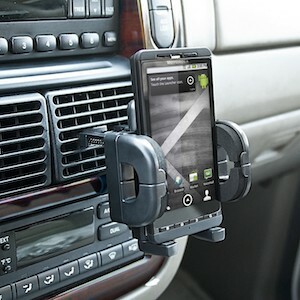 The included Adjustable Rotating Air Vent Mount (COM-116) makes for easy mounting to the louvers of your vehicles air vent to provide a stable, secure, and easily accessible mounting solution for your portable device. 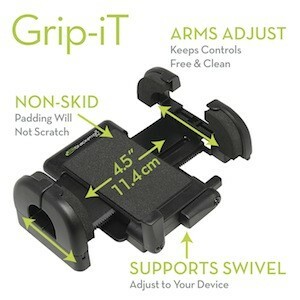 Included is the Mobile Grip-iT Device Holder which features arms that open up to 4.5" and also adjust up or down, allowing you to custom configure it to your particular device and full access to all buttons and functions.